If you are an MLA committee chair or COI officer, or just want to learn more, I would like to invite you to a live webinar opportunity to understand the MLA budget request process and submitting annual reports. Join us for MLA 101: Budget and Reporting on Tuesday, September 27 at 10:00 a.m.
Register today at http://tinyurl.com/mla-budget-webinar but if you are unable to attend, the webinar will be archived for three months via a link that will be sent out to everyone who registers. Congratulations to the Ronald G. Bohley Scholarship Winners! The Professionalism, Education, Employment, and Recruitment (PEER) Community of Interest is pleased to announce that Allison Repking (Ferguson Municipal Public Library) and Sergio González (Pius XII Memorial Library, Saint Louis University) have been chosen as the 2016 recipients of the Ronald G. Bohley Scholarship. 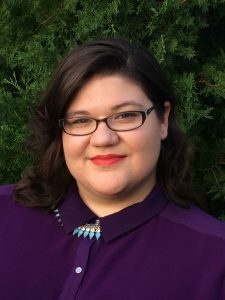 Allison currently works as a Copy Cataloger and Library Assistant at the Ferguson Municipal Public Library in Ferguson, Missouri. Allison has learned the value of interlibrary cooperation through the library’s membership in the Municipal Library Consortium of Saint Louis County. Allison is currently enrolled in the School of Information Sciences at the University of Illinois at Urbana-Champaign in pursuit of a Master’s Degree. González is currently enrolled in the Masters of Library and Information Science program at Valdosta State University. He plans to follow the program’s library management track and focus on building collaborative teams within and among libraries. 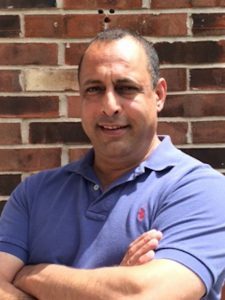 He has worked in academic libraries in various capacities for almost twenty years and currently works as a Library Associate at Pius XII Memorial Library at Saint Louis University. Note: This post was scheduled for posting on August 24, 2016 at 9:00 am, but never auto-posted. The Web committee apologizes for the delay in sharing this post. On October 6, 2016 at 3 p.m., MLA will hold its annual business meeting at the MLA Conference in Springfield. The following bylaw changes are under consideration and will be voted on at that meeting (see PDF: mla-bylaws-change-final). Please consider attending the annual business meeting at conference. All current MLA members are eligible to vote on these bylaw changes at the meeting and it’s a good opportunity to hear what the organization has done over the past year. Questions or concerns about the proposed changes? Please contact President, Jodie Borgerding (mlapresident@molib.org) or Bylaws and Handbook Committee Chair, Alice Ruleman (ruleman@ucmo.edu). Who’s on YOUR MLA Trivia Night team? 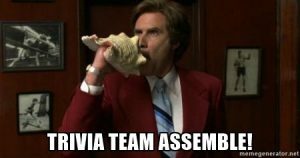 Grab your thin king caps, get your teams together, and join us for the second annual MLA Trivia Night, Wednesday October 5th at 6:30 pm in the Maui Room, Oasis Convention Center, Springfield, MO. Proceeds from this event will go towards the MLA Bohley Scholarship fund (last year we raised over $800!). Doors open at 6 pm and play begins at 6:30 pm. Snacks will be provided and a cash bar will be available for brain fuel. You can register for $10/person then gather your team or show up and join an open table. If you’ve already registered for the conference, just go back to the registration page (http://2016mla.weebly.com/registration.html) to add Trivia Night to your registration. Any questions or need more information? Please contact Jodie Borgerding (jborgerding80@webster.edu) or Jamie Emery (jemery2@slu.edu).